Hands up anyone who was raised with mantra’s such as Money is the root of all evil or Money can’t buy happiness or Money doesn’t grow on trees? Many of us were. Perhaps you grew up in an environment of scarcity – where there always seemed to be ‘more month than money.’ Or maybe your childhood was one of plenty – where there was never any sense of achievement in getting the things you wanted. In either case, the sense of money being just a bit ‘dirty’ and not to be admired often follows us into our adult life. So, in this, the month of love, let’s take a look at money with a loving heart for all it can do for us and create a more nurturing relationship with it. Let’s be honest here…. we all need money in our lives. We need to buy food, clothes and pay for a roof over our heads. Many of us enjoy the occasional luxury, too – like going to the movies, enjoying a meal in a good restaurant, going on holidays, or doing something fun with our children. Money supports us in so many ways, so there is no reason why we should not enjoy the pleasures it can bring and recognize the way it helps up achieve our goals in life. Despite what you might believe, there is an abundance of money in this world. All you need to do is to learn to love your money in the right way and it will want to flow in your direction. Respect the money you have. Store your paper money correctly in your wallet or purse – not all screwed up. If your wallet/purse is too full of coins, put them in charity box or a savings jar. Even buy yourself a new wallet/purse to replace an old worn out one. Showing respect towards your money also means that you keep track of it. Check your bank balances and always make sure you know where you stand. Respect what your money can do for you, too. Start saving money for a particular purpose (e.g. a holiday, a birthday, a special treat) and truly enjoy it. Allow yourself to receive more money into your life. Be open to receiving money, even when you aren’t sure where it might come from. If someone offers you money for something you have done for them, accept with grace. Be open about your money too. There is no shame in discussing money matters with those you trust. The open honesty about concerns or moments of impulse we all occasionally have can build understanding and support within your circle of family and friends. Think about the ways money helps you. It pays for the heating and lighting in your home. It provided the wonderful Valentine’s gift you were able to buy for someone you love. Be grateful for all it can do for you. Show gratitude to those who bring money into your life too. When you receive money in the form of a pay check a gift or even a surprise windfall, then always remember to say thank you. By doing so, you are developing a loving relationship with money which means you can truly enjoy having money in your life. 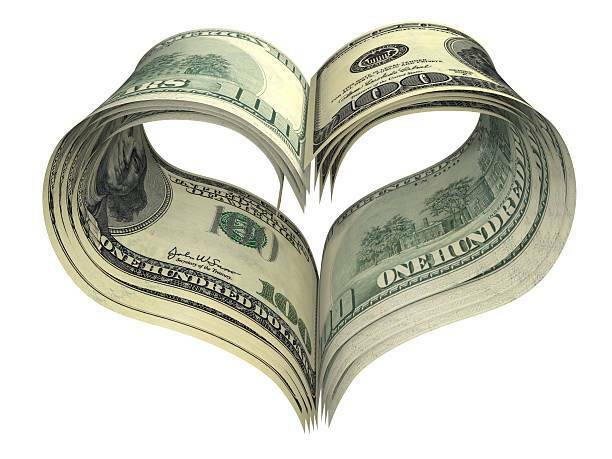 How do you love your money? Share in the comments below the things that money can do for you and how you show it respect, openness and gratitude.